Loved this amazing little hand made soap shop in Tarpon Springs. 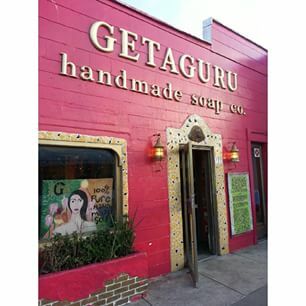 A super groovey place to buy some yummy scented soaps. The shop claims to make the soap the way it has been made for thousands of years. They describe the process of using herbs and oils from all over the world. Then hand mixing them magically,then pouring into molds, and covering the soap with a blanket for 6 weeks. This is an aromatic experience you don’t want to miss in this lively little town.My favorite was Rose and Tangerine. ← You Must Become Part of the Sea…..